we hope that your visit with us is one that is fun, educational, relaxing, and positively memorable. 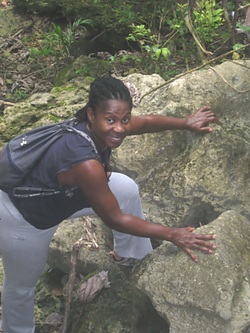 Explore our unique tropical island of Barbados, with Eco Adventures - ToursByBajans as your guide interpreting what you see, hear, taste, and even smell, as we share our island with you by walking tours, or by tour bus. We share the remote villages, the "off the beaten track" attractions, eateries and restaurants. Meet the locals and become familiar with the Barbadian Dialect, don't worry we'll interpret, for you. WALK WITH US. 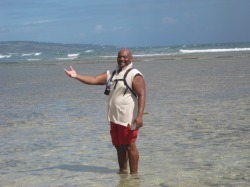 . .
We offer a variety of walking tours from the easy, to moderate, to the very hilly and rugged. They offer different types of scenery - inland countryside, beautiful rugged coast lines, jungle type, and Barbadian villages. Our scenic bus tours are designed for others who have limited time, and for whom a walking tour is inappropriate. Barbados has wonderful, safe, tropical, white sandy aquamarine beaches on the west and south coasts. On the rough east coast there are some safe natural rock shoreline pools for wading and splashing, there is also surfing at the Soup Bowl at Bathsheba, in addition to other locations.